Marlon D’s music is about as authentic as hip-hop gets. The track Wake Up showcases an artist with an intense level of passion for music and lyricism, as well as one with fresh bars, a genuine sense of storytelling, and a characterful leading voice. Marlon D’s flow is rhythmic and emotional but perfectly in keeping with the upbeat and motivational energy of the music supporting it. The storytelling is important, this is something truly unique to the artist, so you get a release that is both packed with individuality, and professionally, thoughtfully crafted and finished. The track’s hook is on point, the energy is kept at a fairly hyped level though with an underlying, easy going musical vibe. Lyrically there’s a touch of darkness on occasion, largely due to the unquestionable truth the artist presents his audience with. Real life is reflected within the verses, and the return to the hook keeps that uplifting element ever present and powerful. The hook and in fact the overall ambiance of the track pays something of a tribute to classic hip-hop from way back when. There’s a subtle touch of organic musicianship to the beat, not overusing electronic samples or aiming too carelessly with the creative mixing. The track is humble, but it hits with strength, and the artist’s leading voice and flow throughout is the sort that will bring fans of real hip-hop back again and again. There’s a multitude of music available online from Marlon D. Everything you’re likely to find will feed further into this image of him as a talented and considerate artist, never lacking in passion, or bars for that matter. Wake Up is a great track and the perfect place to start for listeners who may be new to Marlon D’s music. Download the album Shadows 3 via Bandcamp. 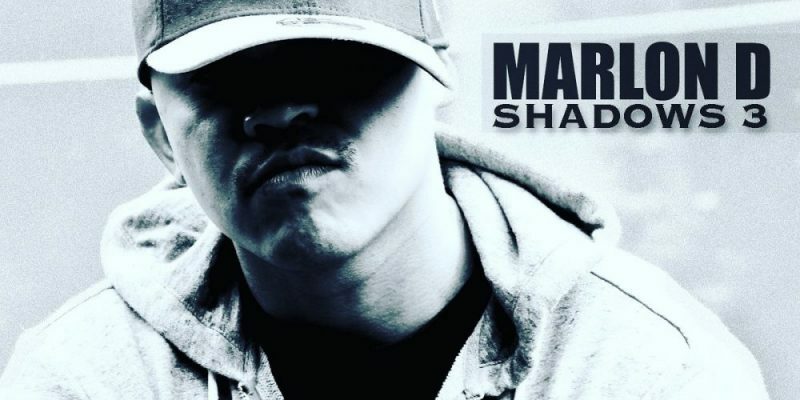 Find & follow Marlon D on Facebook, Twitter, Soundcloud & Instagram.